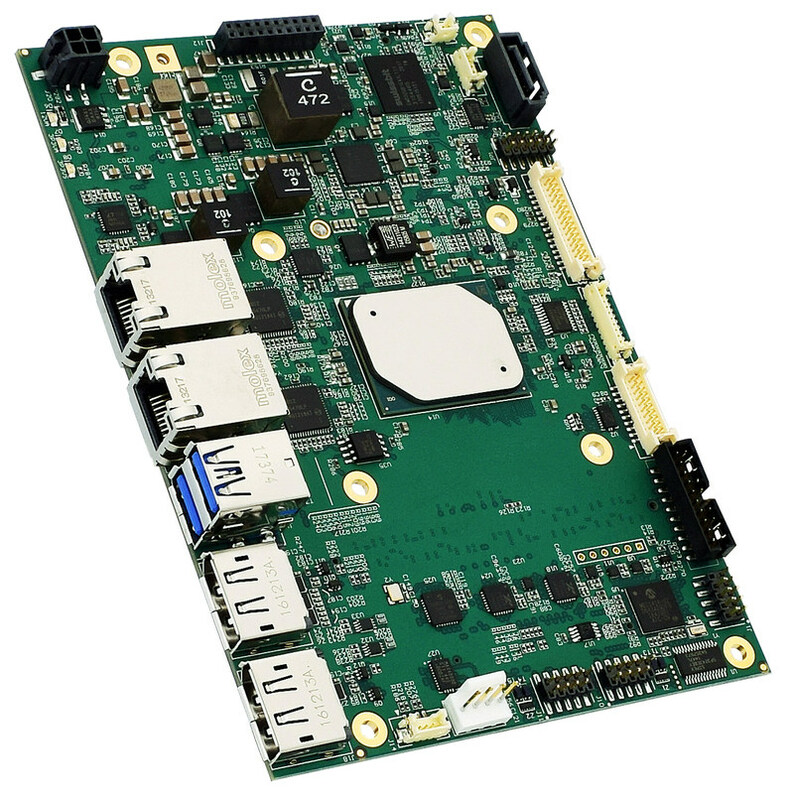 WinSystems, acclaimed for its embedded computer solutions used in industrial and other rugged high-performance applications, today introduced its small-footprint SBC35-C427 single board computer. The innovative design is based on the latest Intel Atom® E3900 series processor. It is unique in coupling edge computing with multiple configuration and expansion options for adding functionality, along with an extended operating temperature range. The newest addition to WinSystems' portfolio of embedded industrial computers will make its debut at Embedded World 2018, February 27-March 1 in Nuremberg, Germany. "This new-generation SBC provides one of the most versatile approaches to a variety of smart transportation, energy, industrial control, rugged digital signage and other industrial IoT applications," said Technical Sales Director George Hilliard. "It also affords a semi-custom solution that delivers the shorter time to market of commercial off-the-shelf products that is easily configurable for different applications." WinSystems' SBC35-C427 SBC offers dual Ethernet, two USB 3.0 and four USB 2.0 channels, and two onboard analog-to-digital converter (ADC) inputs. Connectivity features also include eight general purpose input/output (GPIO) lines, three serial channels and HD audio. Additional sensors and data acquisition options are available through the Mini PCI Express, M.2, and WinSystems modular I/O interfaces. Powered by Intel's latest integrated graphics processor, the design supports up to three independent video displays for stunning, high-resolution graphics – up to Ultra HD 4K at 60 Hz – with its built-in dual DisplayPort and LVDS interfaces. Digital backlight and touchscreen control interfaces are also available. The flexible system design can be expanded via its Mini-PCie socket, an M.2 connector (E-Key) and WinSystems' unique Modular I/O 80 interface. These allow standard and custom modules to be easily added with access to SPI, I2C ,PCI-Express, LPC and USB interfaces to add near-limitless collection of data for edge processing and control. Embedded World attendees can examine the new SBC35-C427 single board computer at the WinSystems exhibit stand, located in Hall 2, Space 620 (#2-620). Technical sales representatives look forward to discussing its capabilities and suitability for customer applications, along with the company's other solutions. WinSystems' customers benefit from solid engineering expertise, proven product reliability and responsive technical support for the life of their products provided by seasoned, highly qualified application engineers. WinSystems' products offer exceptional performance, superior uptime, product life cycles of up to 10 years, and faster delivery, helping customers achieve shorter time to market.